The shift to digital—more specifically the mobile takeover—has completely transformed marketing and public relations processes. Traditional PR and overall marketing has had to evolve to match how people consume content and interact. The only constant for professionals in the digital marketing world is perpetual change. The Internet’s rise of importance, even more pronounced among younger Americans, has significantly impacted traditional print marketing and public relations strategies and tactics. Pew Research Center reported 71 percent of those aged 18-29 now cites the Internet and social media as their main news source. More and more people in general—especially Millennial and Gen Xers—are habitually consulting their handhelds and computers versus print media for news and information. Communicating a company’s message effectively then requires up-to-date knowledge of social media technologies as well as consistent measurement of the effectiveness of both digital and traditional tactics. In addition, professionals now have the ability to hyper-localize PR messages within an audience, thanks to advanced segmentation tools across social platforms. Targeting options will become even more precise in the future, adding proficiency and sophistication to PR campaigns. Social media played a huge role in the emergence of blogging as an important source of distribution and many small-publishers gain distribution almost exclusively through social platforms. In 2013, there were more than 152 million bloggers as opposed to 3 million in 2006. Social media now gives unprecedented insights into key journalists’ specific beats, deadlines and personal and professional interests—important for cultivating relationships. Leveraging citizen journalists, especially those at top-tier publications with large social distributions, is an important part of the new digital PR process. Search Engine Optimization (SEO), is now necessary for most every organization’s website. SEO is particularly important for companies seeking lead generation, awareness or conversion to actual sales. Search Engine Marketing (SEM), includes SEO, pay-per-click (PPC) and link development. 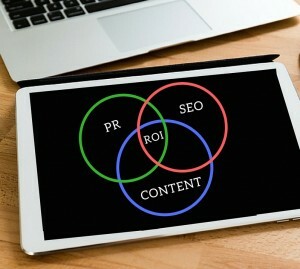 Not too long ago, SEO, search marketing and PR were considered separate functions. Google looks for pages that contain high-quality content, either earned or owned, relevant to the searcher’s query. The content evolution and revolution has forced influencers and survivors successful marketers to be a part of a “new” movement —content marketing. Because of Google’s continuously-changing, ranking algorithms, digital marketing professionals have to closely work with SEO professionals and content creators to adjust digital content strategies accordingly. A complete, combined approach for PR, SEO and SEM is critical for all organizations—from entrepreneurs to established B2B and B2C companies. Read more on this topic from Holly Rollins on Crowd Reviews.